Every dog has his day and we’re now rapidly approaching end of life for the venerable desktop operating system, Windows 7. This means that after January 14th 2020 there will be no further security or stability patches released for the operating system. Operating systems are periodically retired because as technology moves on, several things can happen. Firstly, and most importantly while the operating system might have been perfectly secure a few years before, the inexorable move forwards very often means the latest technology and techniques can render these operating systems highly vulnerable to the latest threats. Additionally, as hardware develops and new devices are released, fewer and fewer manufacturers release compatible drivers for older operating systems, as this can be costly, time-consuming, and offers increasingly diminishing returns as the user base for those operating systems shrinks. Even though there’s now less than a year until end of service, there’s still time to migrate your PCs at home and in the workplace to Windows 10, which might happen as part of the purchase of new PC hardware and devices. If you want additional information about end of life for Windows 7, resources and help are available in the information below (provided by Microsoft). For most Windows 7 users, moving to a new device with Windows 10 will be the recommended path forward. Today’s PCs are faster, lightweight yet powerful, and more secure, with an average price that’s considerably less than that of the average PC eight years ago. Our Guide can help you choose a new PC in just a few easy steps. Want to learn more about Windows 10? Check out our overview page to learn more. To take advantage of the latest hardware capabilities, we recommend moving to a new PC with Windows 10. As an alternative, compatible Windows 7 PCs can be upgraded by purchasing and installing a full version of the software. For more information, see Windows 10 upgrade FAQ. 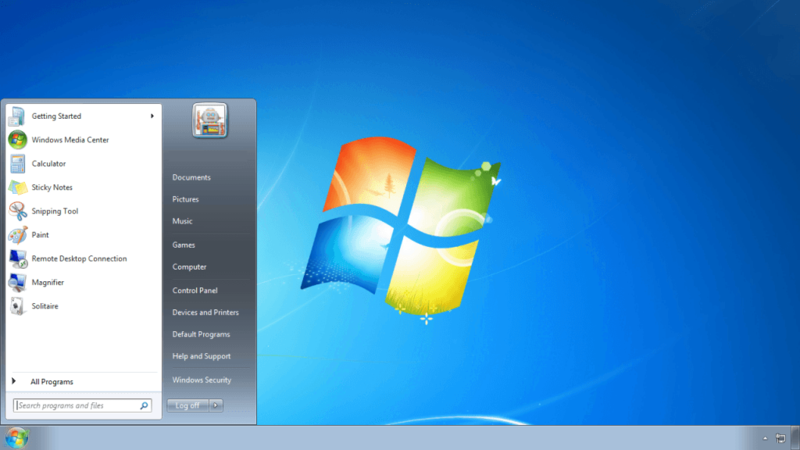 Windows 7 can still be installed and activated after end of support; however, it will be more vulnerable to security risks and viruses due to the lack of security updates. After January 14, 2020, Microsoft strongly recommends that you use Windows 10 instead of Windows 7. Will Internet Explorer still be supported on Windows 7? Support for Internet Explorer on a Windows 7 device will also be discontinued on January 14, 2020. As a component of Windows, Internet Explorer follows the support lifecycle of the Windows operating system it’s installed on. See Lifecycle FAQ – Internet Explorer for more information. What if I’m running Windows 7 Enterprise? If you are using Windows as part of a work environment, we recommend you check first with your IT department or see Windows 10 deployment support to learn more. What about Windows 7 Embedded? Windows for embedded devices such as ATMs or gas pumps have lifecycle dates that sometimes differ from versions of Windows that are used on PC devices.